Odds are if you clicked on this page, you probably know what a homelab is, but I’ll explain it quickly for those who don’t. 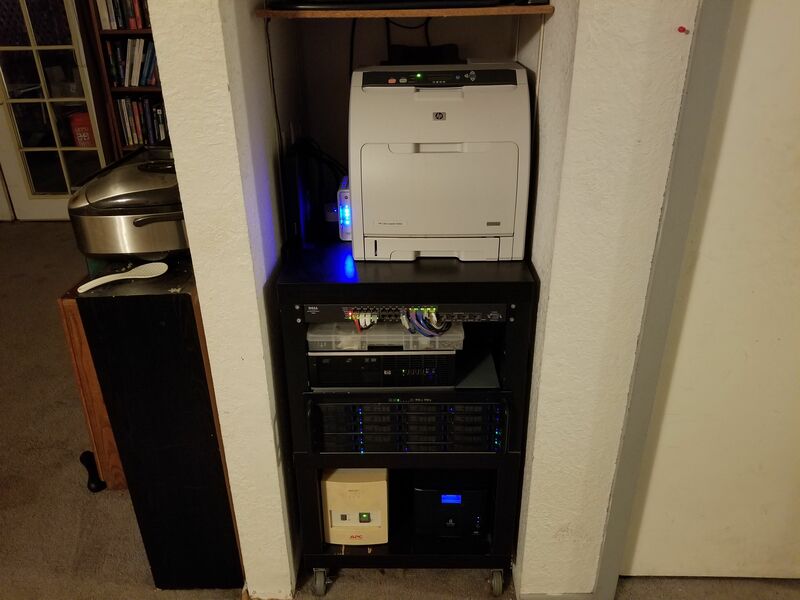 Homelabbing is a hobby centered around running and maintaining somewhat advanced networks, severs, and/or services at home or in a non-professional sense. Normal home networks generally consist of a single central device such as an ISP provided modem/router combo, but homelab setups tend to more closely mirror professional setups used in businesses. Homelabs therefore tend to be much more complex and aren’t plug and play, but result in a network with much finer control and the ability to add new features easily. For example, my favorite feature of my homelab is that my network has a built in ad blocker. This means that ads that normally would be impossible or very difficult to block, such as in mobile phone aps or youtube, are now blocked before they even reach the phone. My interest in all this comes as a side-effect of having worked for San Juan Island School District’s IT department for six or sevens years, along with a general interest in computers from long before that. I set up many services for their networks back then, and I carried a lot of that into my home as time went on. I learned to webmaster there and it is the reason I’m comfortable hosting my own website and home services! Anyways, in no particular order I’m going to cover the fun stuff I have in my house. At some point I’ll diagram all this out, half for my own sake. One day I’ll have the money to buy a real metal rack, put some server grade gear in it, and have way too much fun! For now, as a college student I’ll stick with the mishmosh of random stuff I’ve thrown together, even if it means the whole network dies when updates fail as I don’t have anything to fall back on. Below, you can see some of the live stats about my house and network!